The remaining portion of I-73 would provide convenient access to/near the state capital, Lansing. It would also serve farmers in need of improved highways and roadways. 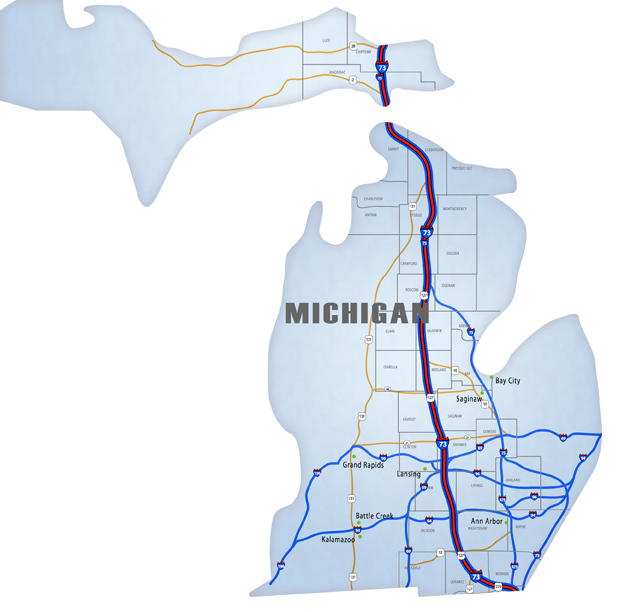 I-75 upgrades in southern Michigan are needed. 23rd - Curtis Hertel, Jr.